Incorporate the soft, delicate touch of pastels in your design work. stocks, complete with ink formulas. 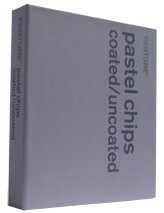 GB 1205 PANTONE Pastel Chips Coated, Uncoated: The PANTONE pastel chips book offers six specification chips for each PANTONE pastel color. 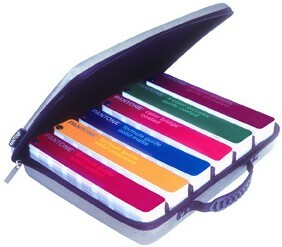 You get 154 soft, subtle shades to choose from. A new way to look at tints! 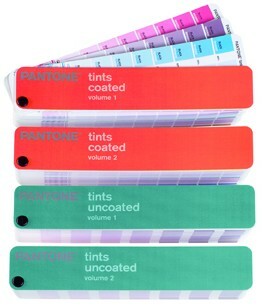 After a year in research and development, the new PANTONE tints sports numerous enhancements. Re-engineered for greater utility, it is now presented as a four-volume fan guide set featuring tint effects that bleed off the page for press check ease. We’ve also increased the size of each tint, brightened and increased the durability of the paper stock and show each color printed as a thin and thick rule. True to its name, PANTONE essentials includes six indispensable color guides that every print and graphic design professional should have to ensure quality results. Formerly known as the ultimate survival kit, this value package offers a cost-effective way to upgrade your Pantone collection with a full set of the latest guides. 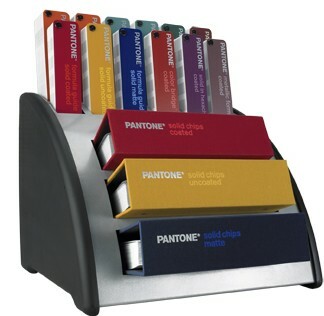 You’ll get everything you need to select, spec and match solid and process colors. And if that wasn’t enough, you’ll also receive a stylish carrying case to protect your investment during trips to the client or on press runs.